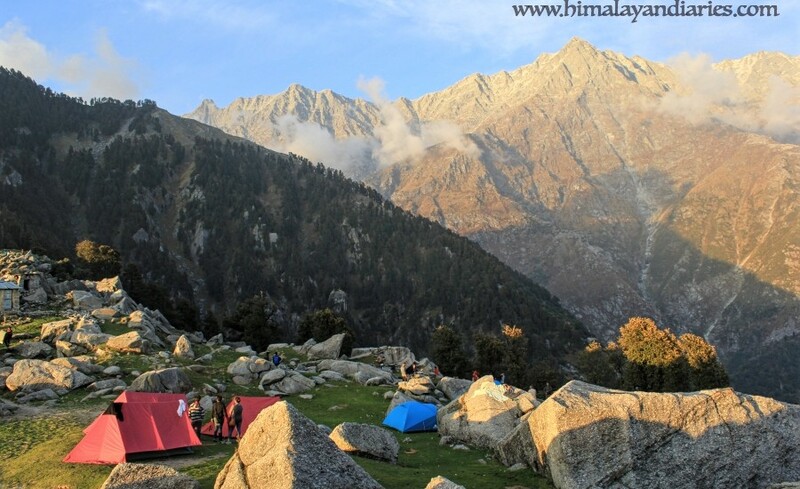 Dharamshala is located at the low spurs of the Dhauladhar ranges. 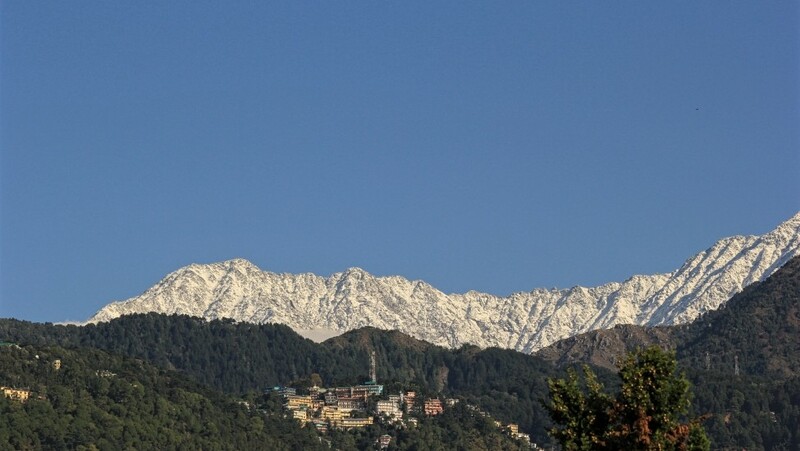 This makes the location of Dharamshala very unique. The sheer feeling of gazing at huge mountain range with snowy tops from a place which has very temperate features is amazing. The snow line is nearer than any other destination India. This place become more famous because of the weekend treks it offers for beginners. Even in summers you can reach a snow point very easily. The treks are for beginers but the view which is offered from these treks is breathtaking. The upper reaches are forested with trees of Oak and conifers. 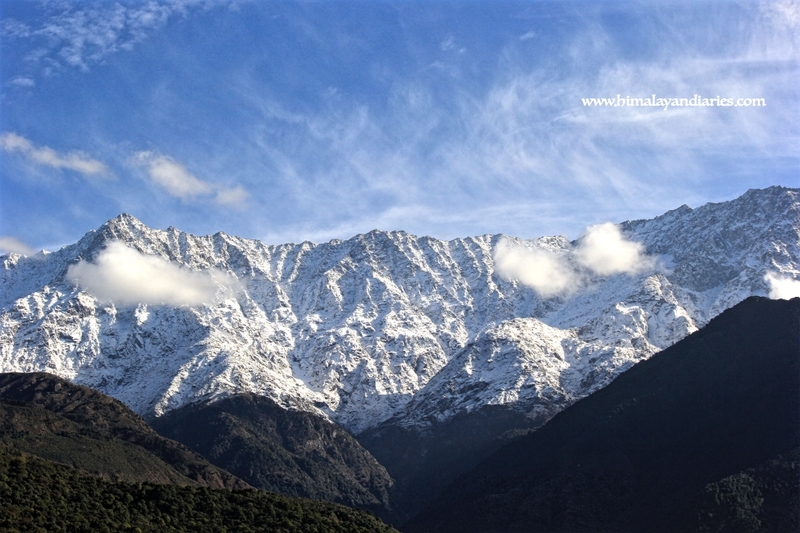 Dharamshala is 245 Kms from Chandigarh and 239 Kms from Shimla. Mcleodganj is 10 Kms from Dhramshala by road. This is another travelers hub in Himachal Pradesh like Manali. Mcleodganj is located just at the base of the Mighty Dhauladhar mountains and is a escapade for numerous trek across these mountains. It is also known as little Lhasa as it is the Tibetian capital in exile, which is based downhill at Gangchen Kyishong. It is also the official residence of His Holiness the 14th Dalai Lama. This place has a vast Tibetean population.The tibetian people started settling in mcleodganj since 1959, ever since The Dalai Lama Tibet. This place has the vibes of a perfect travelers hangout. The main square is always full of people, and there are two parellel market roads which are flooded with place cafes, Tibetian shops, resteraunts and hotels catering to needs of people all over the world. 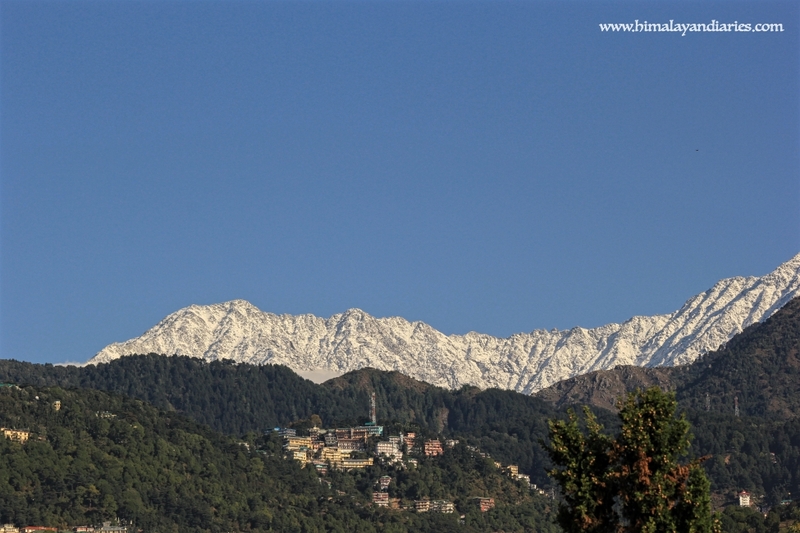 Mcleod ganj has been centre of Buddhist culture and learning over the years. 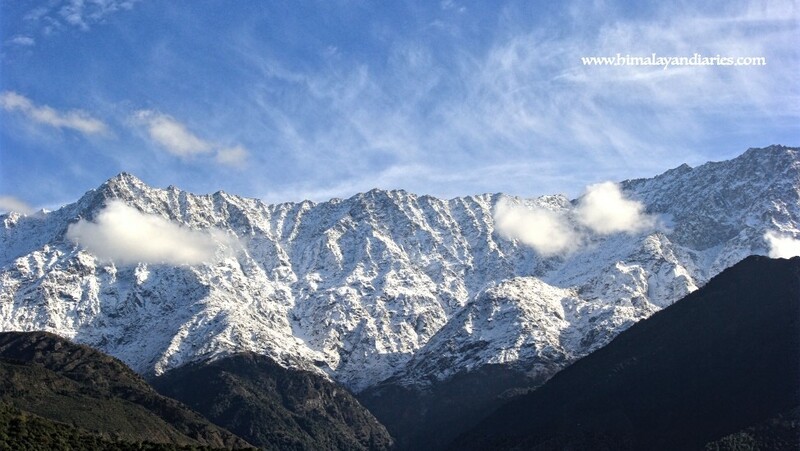 Mcleod Ganj has many ancient temples, monasteries and monuments. Tsuglagkhang is the main shrine here with idols of Avalokitesvara, Padmasambhava and Sakyamuni Buddha. When you are in Mcleodganj you get the ambience of a Buddhist place. The practices and lifestyle here are mostly related to Buddism. There are a lot of Indians here, and both communities live in perfect harmony with each other. There are paintings and stories of Tibetan leaders at the Tsuglagkhang complex. There are various Stupas, temples, monasteries to be visited here. If all that you want is peace and relaxation, you can just roam in this calm town and visit the bookshops, cafés and museums. You can also visit the Tibetan Institute of Performing Arts. They hold a ten- day festival of theatrics, music and dance in May. Mcleod Ganj basically thrives on tourism. It is also famous for the Buddhist handicrafts, garments and Thangkas. The Namgyal Monastery, abode of the Dalai Lama, is the most important attraction here for Buddhists. St. John in the Wilderness is an Anglican church built in the neo-gothic style and is definitely worth a visit. The Naam Art Gallery is also a good place to visit. The Gallery is open from 10 am to 7 pm and remains closed on Mondays. 29 kms from Dharamshala, lies the green hill station of Palampur. More famous for its tea gardens, and abundant streams. 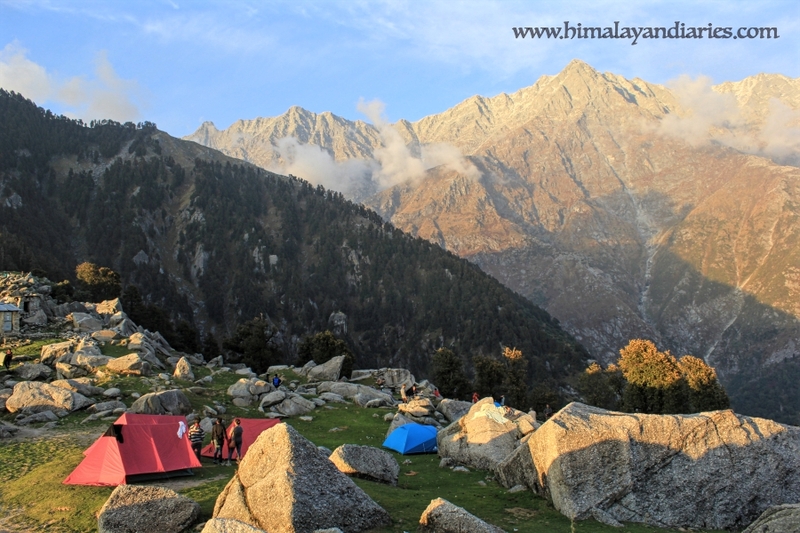 Several trekking routes lead out of Palampur, particularly over the Dhauladhar Mountains towards the districts of Chamba and Kullu, Himachal Pradesh. Some important treks are over the Sanghar pass to Bharmaur via Holi, the Thamsar Pass (4,747 mts) from Billing to Manali via Bara Bhangal, over the Jalsu pass from Baijnath to Bharmaur,. A four-day trek will lead the traveler to Holi, via Waru La. 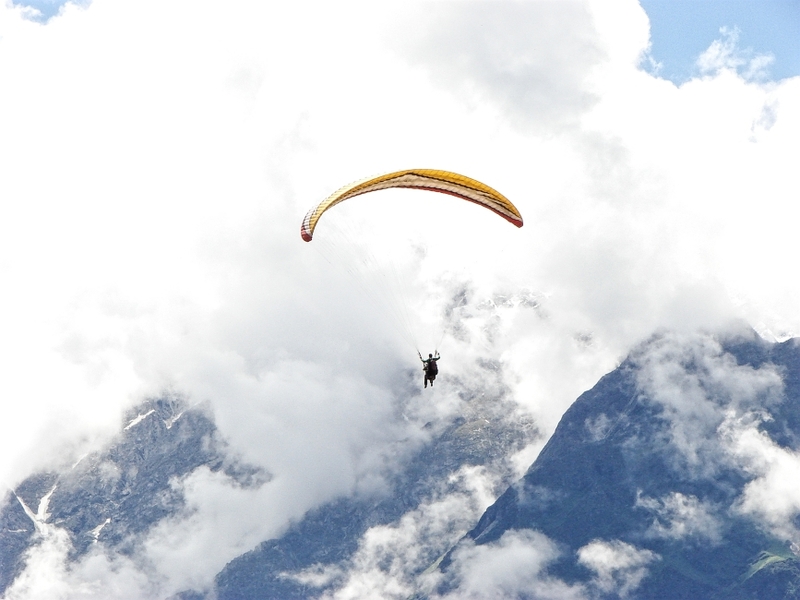 35 Kms from Palampur is Billing, near Bir, Himachal Pradesh, Bir, an important centre for the adventure sport of paragliding. 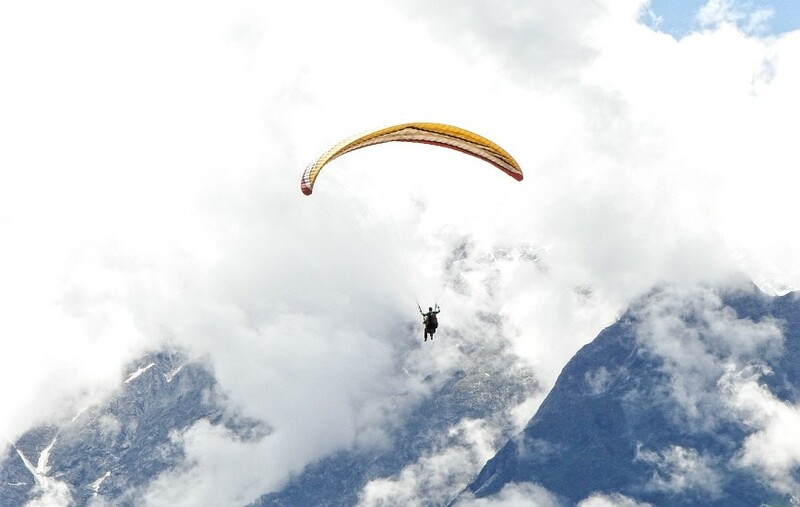 Paraglider pilots often land near Palampur after cross-country flights starting from Billing. Bir is a small village in near Palampur. Bir along with Billing is a place which is famous for Aerosports. That is Hang gliding and Para Gliding both. The take off point is called Bir, which has an altitude of 2290 mts and Billing is the landing site ,which is 1400 mts. The weather plays a very important role in Paragliding. On a perfect day flights upto 100 Kms can be easily done. the world record for the longest flight of 132.5 Kms was set here in 1992. All this area is surrounded by low hills. Bir is 35 kms from Palampur, and billing is 14 kms from Bir. Bir is famous for its Tibetan colony which is at the west end of the ground, and there are various Buddhist monasteries which are worth visiting here. There are a few guesthouses and resorts in Bir. In the mid nineteenth century, the 3rd Neten Chokling , an incarnate lama of the Nyingma lineage of Tibetan Buddhism, came to Bir with his family and with the help foriegn aid bought about 200 acres of land. There he established a Tibetean settlement with around 300 families. He also build a Neten monastery here. There is another Monastery by the name of Pema Ewam Chogar Gyurme Ling. Nearby is the village of Ghornala, where you can find a couple of Homestays. There is a Deer Park Institute, and a Dharmalaya Institute which is a NGO devoted to Education. Dharmalaya hosts work retreats and meditation retreats, providing opportunities for long-term volunteers and meditation students to do karma yoga (mindful service work with an unselfish, altruistic intention) for various charitable projects to benefit the local community and the natural environment. Programmes include earthen building, vernacular eco-architecture, green job skills training for local villagers, organic farming, and a tree-planting project. Visitors must contact them via the website before visiting, as they are sometimes closed to visitors for silent retreats and special programmes. Bir and Billing have over the years become a favourite camping ground for adventure seeker from all over the world. A lot of camp sites have come up here.